On 3/13 I was at home hanging out with my children and wife when I received a phone call from Jodi, the gym manager where I worked CoreFitness Obsession. When I answered the phone she advised me that CFO would be closing its doors for good on the 3/31. I was pretty bummed out I must admit. I had made many friends there and have a lot of good memories in my time there as a member since 2010 and a coach since 2011. So at the time I knew I wanted to continue coaching but didn’t know how I was gonna go about it. I figured I would try some gyms out eventually and look for a place that was a good fit for both myself and my family. The following day I was surfing Facebook. 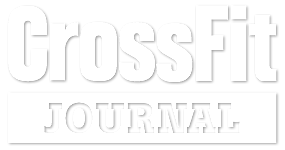 Coach Shari and I were already Facebook friends, so on my news feed I saw that she had posted that CrossFit Tidewater was looking to hire experienced coaches. So let me go back in time to 2/7 of this year The Battle of the Badges event held at CrossFit Tidewater. Coach Joey and I were partners for that event. I remembered many of the gym members were there and were awesome. On the way home my wife and I talked about what a great atmosphere there was at CFT and how we would love to drop in from time to time. Now back to when I saw Shari’s post. I thought about it for like 2 seconds and started typing out my resume for her. She responded back the next day and we set up a meeting for Monday 3/23. I arrived on the 23rd and met with Shari and Mike. We had a great conversation for about an hour and Shari scheduled me to coach with her on the following Monday. I worked out with the 5:30 class and went home super stoked. The following Monday I arrived to coach my first class at CFT. The flow of the class was a little different that I was used to, by that I mean at CFO lifting was very structured and I told everyone when to lift or we would never get through it, but the transition for me was easy and I really like how in lifting session I can pay more attention to athletes and their form. Now it’s time for the sentimental part of this blog. So on Wednesday 4/23 it will be a month since I started my time with CFT. I am so honored to be a coach at CFT. Each and every one of you are absolute joy to be around. I cant wait for Monday’s at 5:30 and 6:30 when I get to coach as well as all other days when I come to work out. You all have been so welcoming. I love the way you all support each other, call each other out (Yes that’s you Barb!) and above all your commitment to improve your lives one day at a time. I look forward to the great times that we will experience together. I want to thank Shari, Mike and Sarah for giving me the opportunity to be apart of an amazing gym. To my new CrossFit Tidewater gym family thank you all as well.